A native of Columbia, South Carolina, Tyrone graduated high school and went on to earn a B.A. in Political Science from The Citadel, The Military College of South Carolina. After a few years in the SC Air National Guard and US Army Tyrone became addicted to drugs and alcohol. Seeking to get a grip on his life, he then moved to San Francisco and graduated from CityTeam San Francisco’s Christian based recovery program in May of 2004. He went on to serve as volunteer staff and then completed two yearlong internships at CityTeam San Francisco. 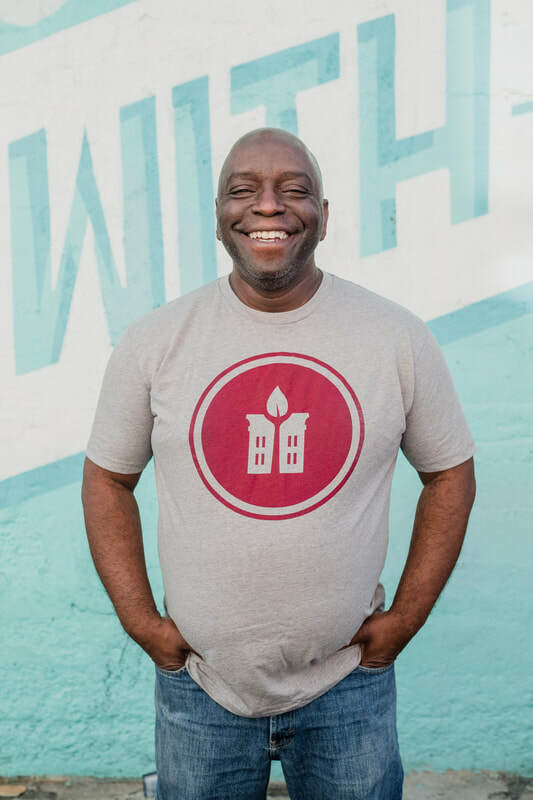 Tyrone has been with City Hope since 2013. In addition to running the City Hope House, City Hope's 2 year transitional sober living home, Tyrone leads City Hope's AA meeting, teaches a weekly City Hope recovery class and helped launch City Hope's 'Dr. Tech' technology workshop. ©2017 City Hope San Francisco. All rights reserved.